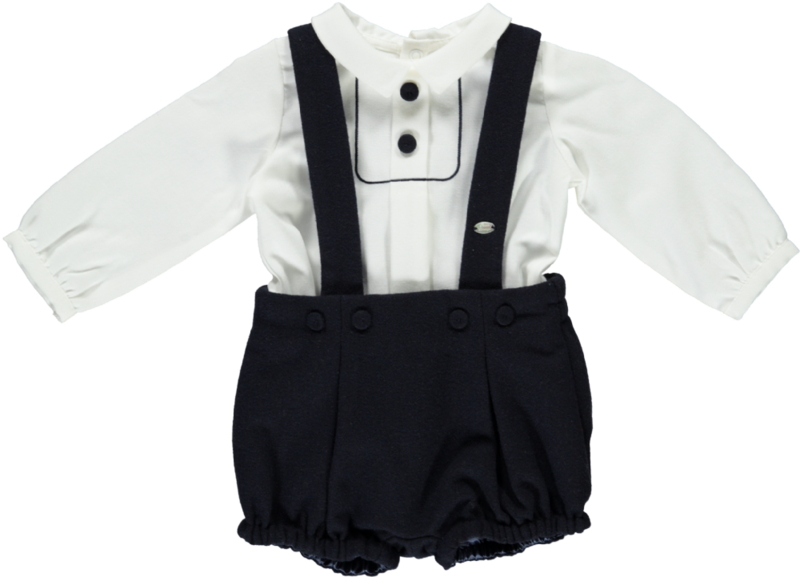 Stylish but classic boys two piece by Piccola Speranza. This set comes with soft navy blue shorts with a ivory top finished with a little collar and sewn on buttons and cross over back. These shorts are fully lined with a silky fabric and the top fastens at the back with popper fastening for extra comfort. Shirt: 50% cotton 50% polyester. Shorts: 50% wool 50% polyester. Our lovely Boutique shop will be coming soon to the Preston area in Lancashire, UK.